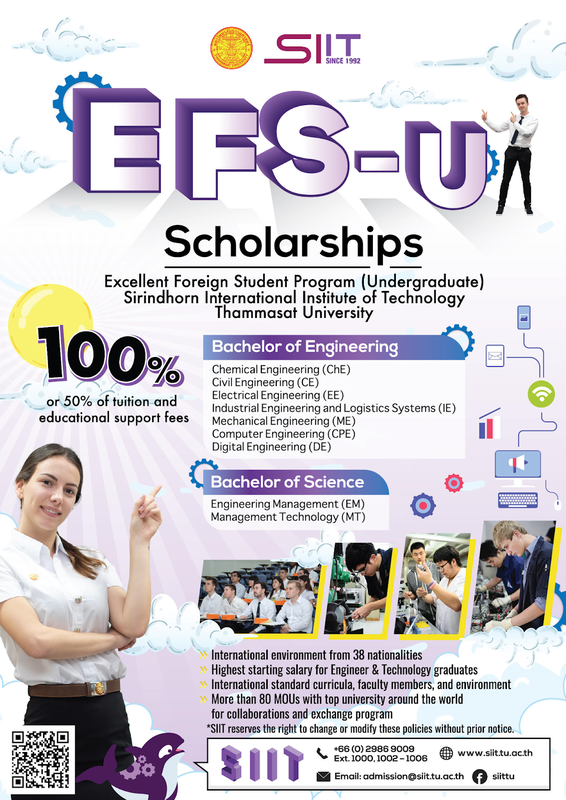 Have good behavior and a clean record with no offences against student discipline. 2. Standardized test scores: SAT I, SAT II, IB, IGCSE, GCE "O" and "A" Level, ACT etc. 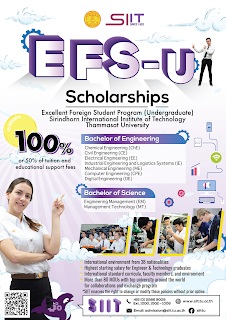 Select admission type: "Excellent Foreign Students (EFS-U)"
Should you have any enquiries about the scholarship program and admissions, please contact the SIIT Admission and Public Relations at email: admission@siit.tu.ac.th or visit official website: www.siit.tu.ac.th.